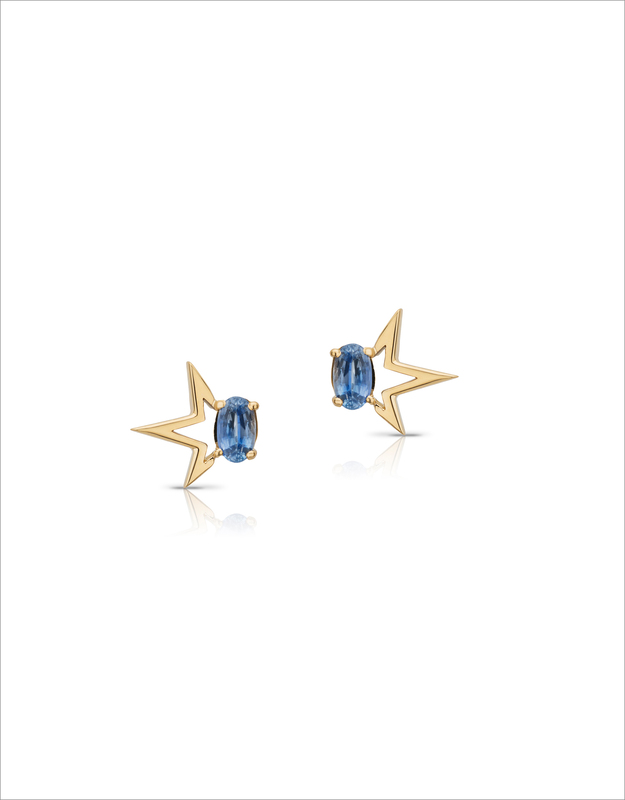 This pair of stunning earrings are made with 18K yellow gold and amazingly blue Sapphires. They are even more beautiful when worn, the stone sits directly against the ear whilst the gold graphic element, slightly angled away from the ear, giving you the set of fairy wings you always wanted. A modern, fresh design which can be worn day-in and day-out, the cherry on top of your outfit! 18K yellow gold with sapphires.It is possible for you to choose the colour of the sapphire. Please send us a message hello@curated-crowd.com, and we will get in touch as soon as possible.